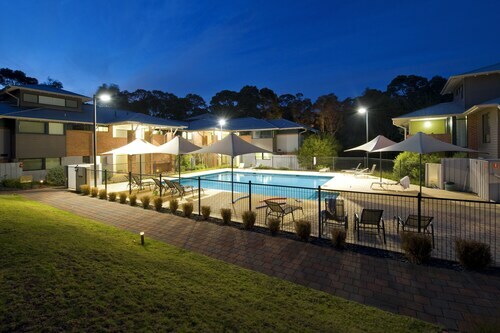 Situated by the ocean, this apartment building is 0.4 mi (0.6 km) from Gnarabup Beach and within 3 mi (5 km) of Surfers Point and Margaret River Golf Club. A beautiful clean beach and a huge national park are two big reasons to stay in Gnarabup, a coastal area in the townsite of Prevelly, Western Australia. Located in the Margaret River region, famous for its wine and wilderness, Gnarabup has a peaceful bay with clear blue water, surfing and swimming beaches and a long coastal bush track. Plus it’s close to all the delights of Margaret River. 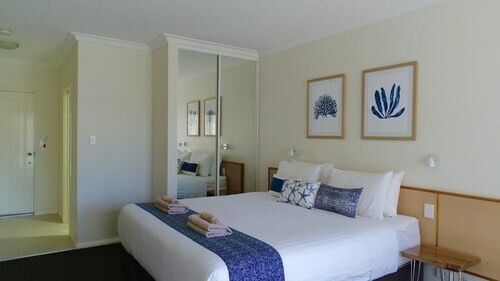 Book your Gnarabup hotel with us now and spend a few sunny days in the quieter part of WA’s coastline. With the longest coastline in the country, Western Australia has quality beaches to spare, and Gnarabup and Prevelly are no exception! If you want to catch some waves, the surf is up in Prevelly Park Beach. In fact, this place is such a surfing hotspot that it hosts the Margaret River Pro Surfing competition every year. If you’re not quite pro (or a long way from it), improve your skills with a surfing lesson. Surfing not your thing? Just around the corner, the calmer waters of Gnarabup Beach are perfect for swimming, snorkeling, or admiring the view while you enjoy a meal at the White Elephant Cafe. The beach’s rugged granite headlands form part of the Leeuwin-Naturaliste National Park, which stretches 190km down the WA coast. Along with heaps of Jarrah forest, the park is well-known for caves - some of which you can even explore! Mammoth Cave is just a 20 minute drive away from Gnarabup, and offers self-guided tours. Wander beside a stream through well-lit chambers filled with incredible rock formations. On your headset, you’ll listen to stories of extinct animals as you take a look at their ancient fossils. Bushwalkers of all fitness levels can walk part of the Cape to Cape Track, a 140km trail from Cape Naturaliste to Cape Leeuwin, with lots of coastal lookouts and forest along the way. You can also fish at Gnarabup Boat Ramp, drop into one of the local cafes or check out Margaret River, which has wineries, whale-watching, great restaurants and heaps of boutique shopping. If you need to get to WA, our flights to Perth may help. Prevelly is only 10km west of Margaret River, so book your Gnarabup accommodation and recharge in that superb ocean water. How Much is a Hotel Room in Gnarabup? Hotels in Gnarabup start at AU$100 per night. Prices and availability subject to change. Additional terms may apply. Beautiful views. Clean and modern apartments. Most friendly staff, lovely Bistro and cafe with the best coffee and food. 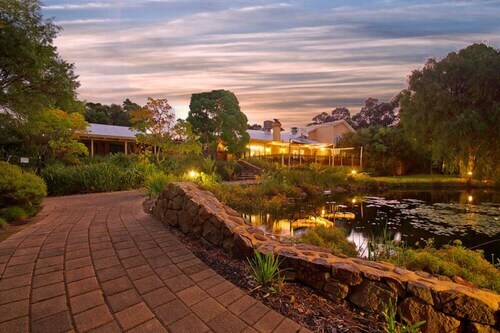 Would definitely come here again and would highly recommend this place to anyone seeking a beautiful Margaret River experience.